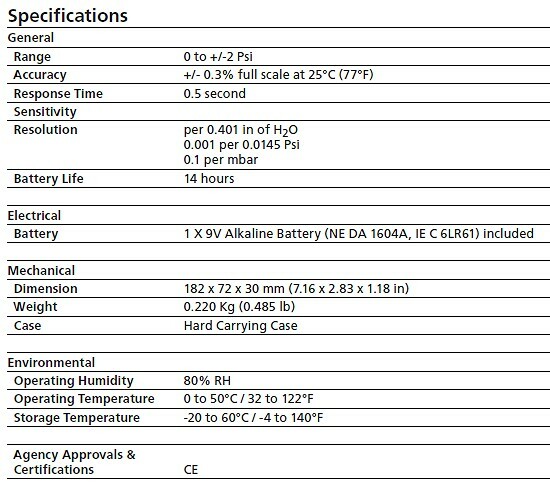 The Amprobe MAN02-A is a portable, battery operated pressure measuring device. 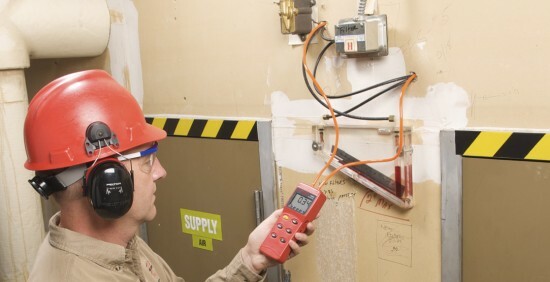 The right tool for HVAC/R technicians measuring pressure level, or anyone working with valves, control sensors in a pneumatic control environment. Large dual digital display shows gauge or differential pressure values. It also has a relative time clock for measuring when events happen, such as minimum and maximum values. Or use the RS232 output to record continuous measurement values. Amprobe�s Download Suite software available online.